I got in touch with Jade via Twitter explaining that I designed and built Sarah Stevenson’s website and asked if she would like one too. She said yes and the rest is history. 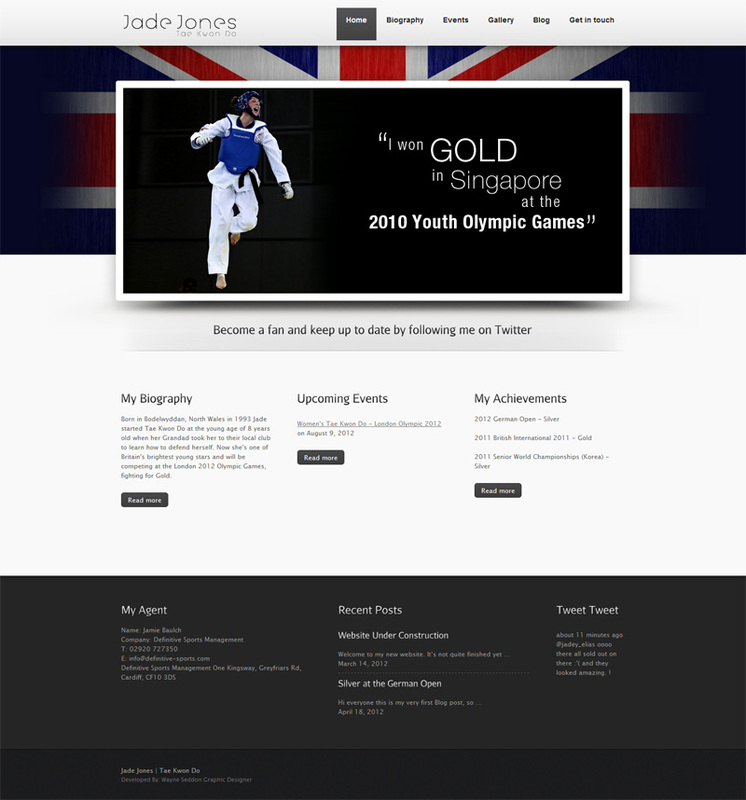 Jade went on to win gold at the London 2012 Olympic games in her sport Tae Kwon Do and her website has had over 10,000 visitors – this had a great influence on the traffic to my website which has in turn increased dramatically.